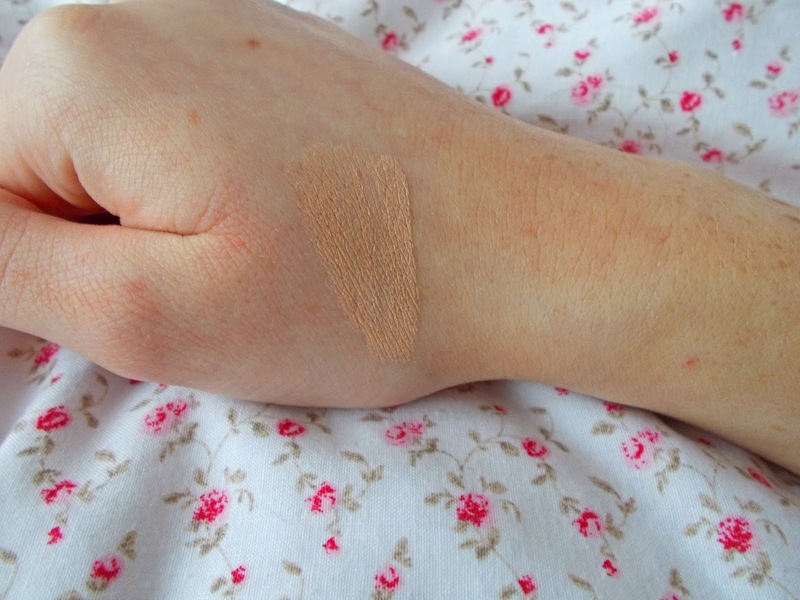 Following on from my previous post discussing makeup for very pale skin, I thought it would be helpful to let you girls know about my 'holy grail' concealer. I hate the term 'holy grail', but that literally is the best definition for this product. 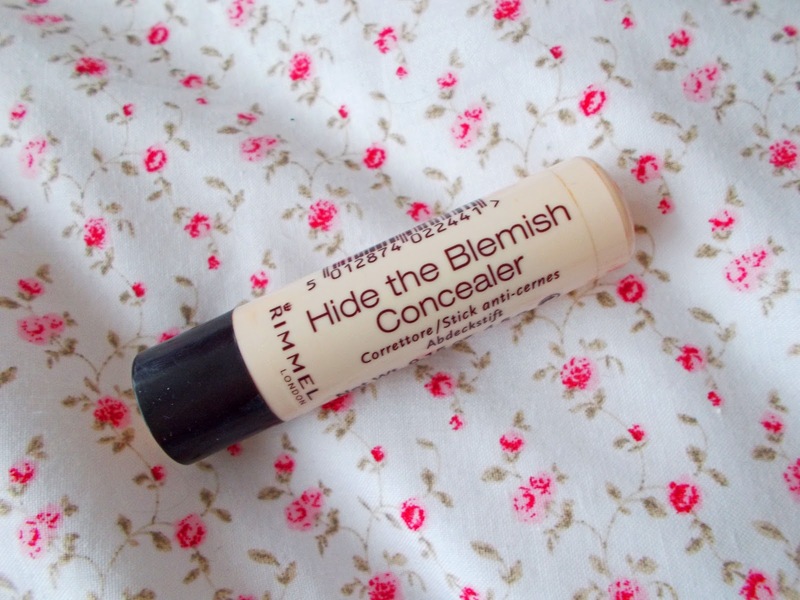 I have been using Rimmel Hide The Blemish concealer for years now and I still haven't strayed away from it. I've tried liquid pen/brush concealers, but I've always gone back to my trusty Hide The Blemish. 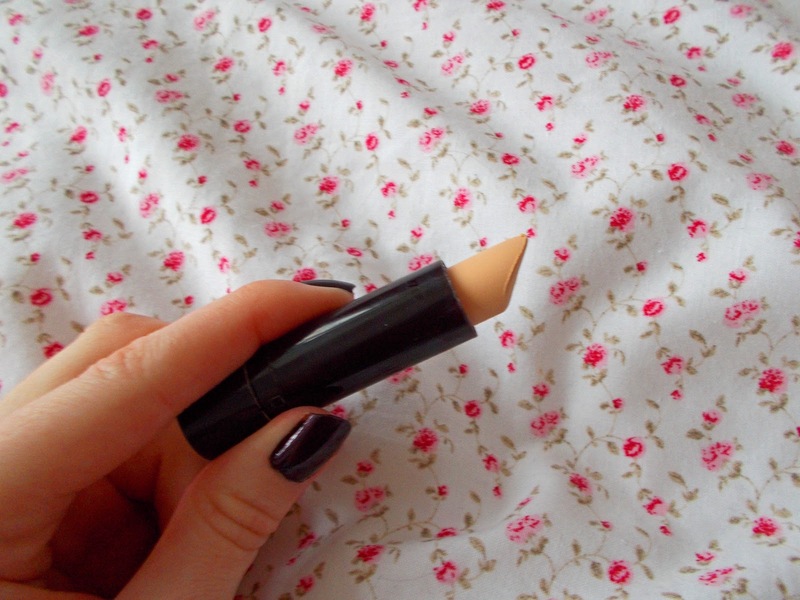 What really sets this concealer apart from others I've tried, is quite simply, how pale it is. I always use the shade '001 Ivory'; even before blending, the concealer is very light. 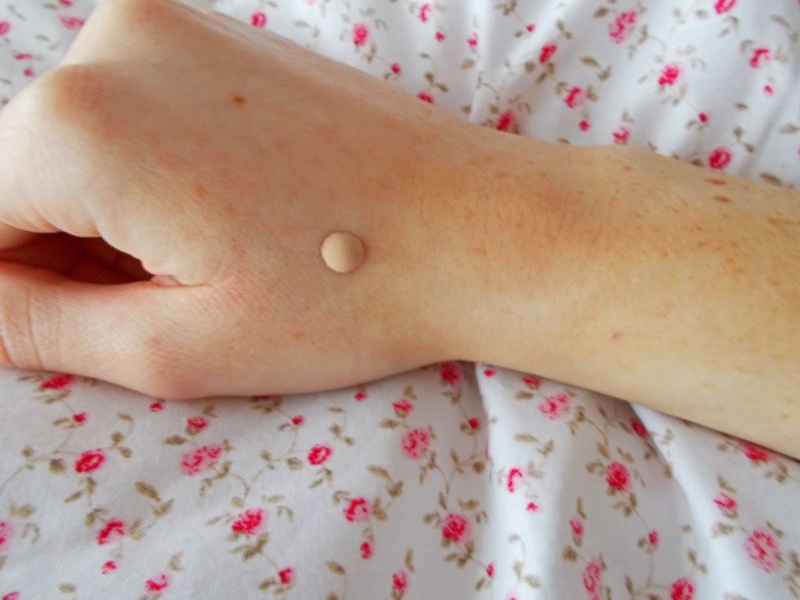 I always apply this concealer with my fingers. 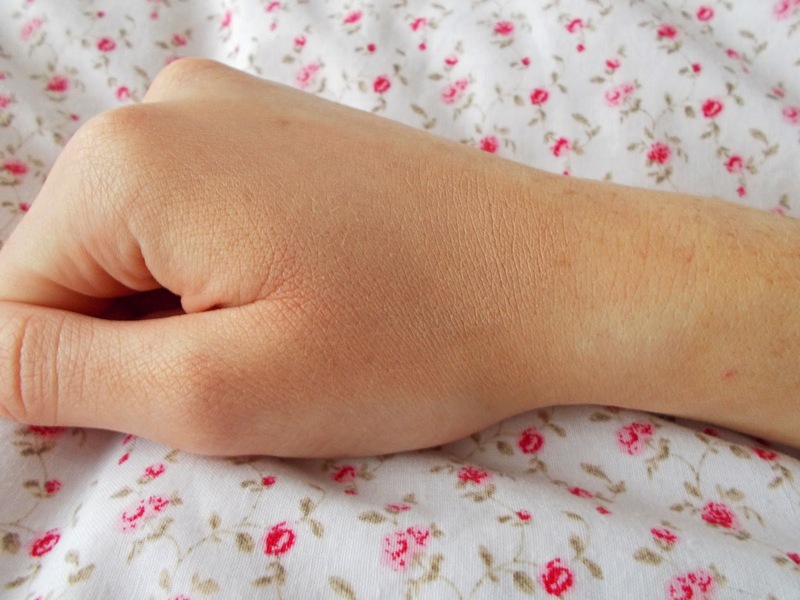 Your ring finger is the most delicate when it comes to gently applying pressure. I literally cannot fault this product - it blends in so smoothly and it does exactly what it claims to, it hides the blemishes. Again, it's a very reasonably-priced drug store product - you can even get it for around £5 with free delivery on Amazon. For as long as this concealer is available to purchase, I won't be opting for anything else. Any of you girls with very pale skin, probably go through the same headache as I do - trying to find a foundation that is pale enough (!!!). Up until around Christmas time, I previously used Estée Lauder Double Wear foundation in 'Shell' - this was literally heaven in a bottle. 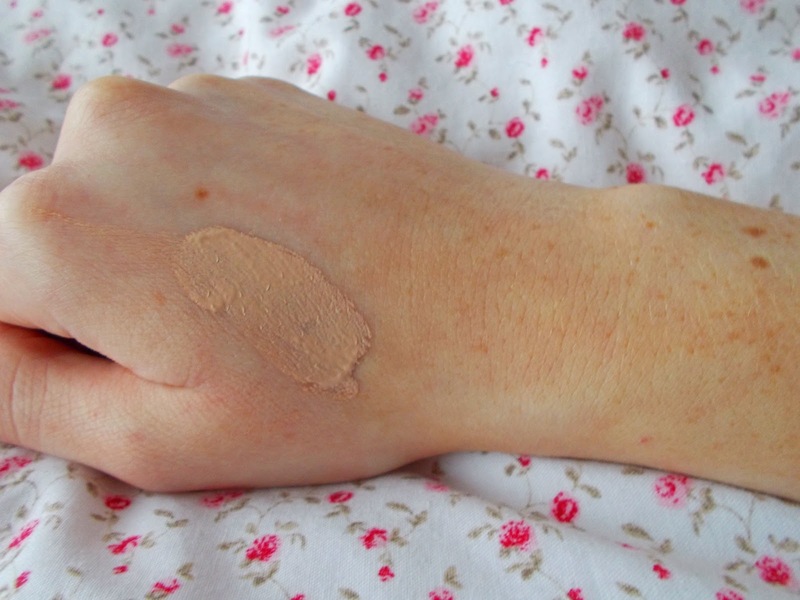 The colour was perfect, my skin responded amazingly to it and I could go to work for a day & come home looking like I'd just applied my makeup (no makeup touch-ups needed during the day!). I found out last July from a makeup artist at my friend's wedding that Shell was going to be discontinued, so I tried to haul away some bottles to keep me going. When these ran out, I resorted to using the Estée Lauder Double Wear Maximum Cover in 'Very Light' - I had a ridiculously painful allergic reaction to this, resulting in breakouts and very dry/red skin. I gave my mum the Estée Lauder Maximum Cover foundation to use and she had absolutely no problems with it - I guess it really does depend on your skin type, and I have sensitive/acne prone skin. Since then, I had been trying to find a replacement foundation, preferably a cheap one. 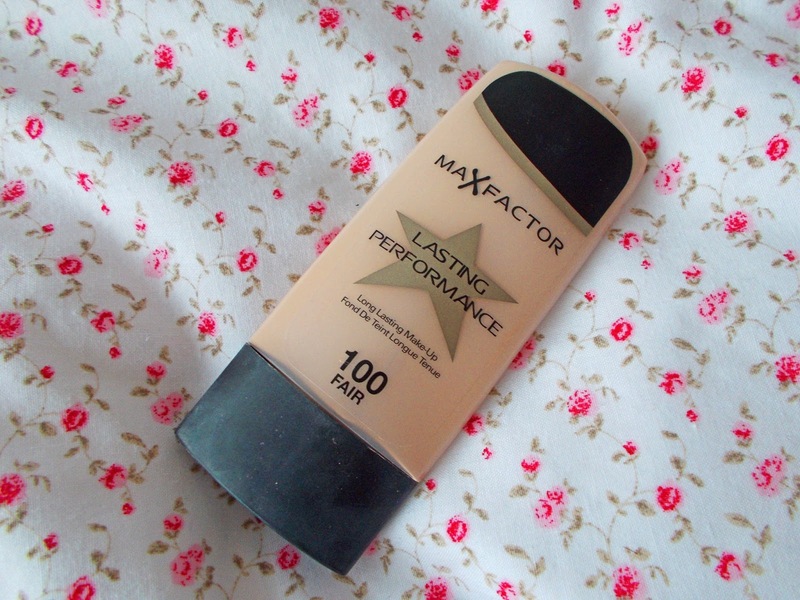 On a whim, I decided to give Max Factor Lasting Performance Foundation a go - I bought it in the lightest shade, '100 Fair'. 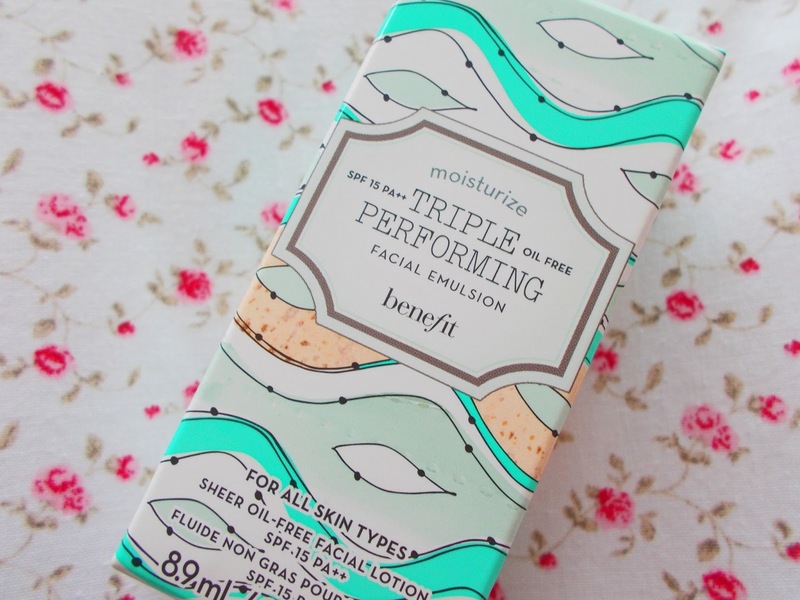 In comparison to Double Wear, this foundation is less than half the price. The foundation is actually quite a pasty shade, despite looking a lot darker in the above photos (& on top of my streaky fake tan, oops!) when blended. In order to get good coverage, you do need to apply quite a lot of product & not be too heavy-handed when blending it in - I always use my fingers to blend my foundation in. I can actually go out for the day and still look very fresh-faced after application - no makeup touch-ups required either! The coverage is still nothing like that of Double Wear, but it's the best drug store foundation I've ever purchased. 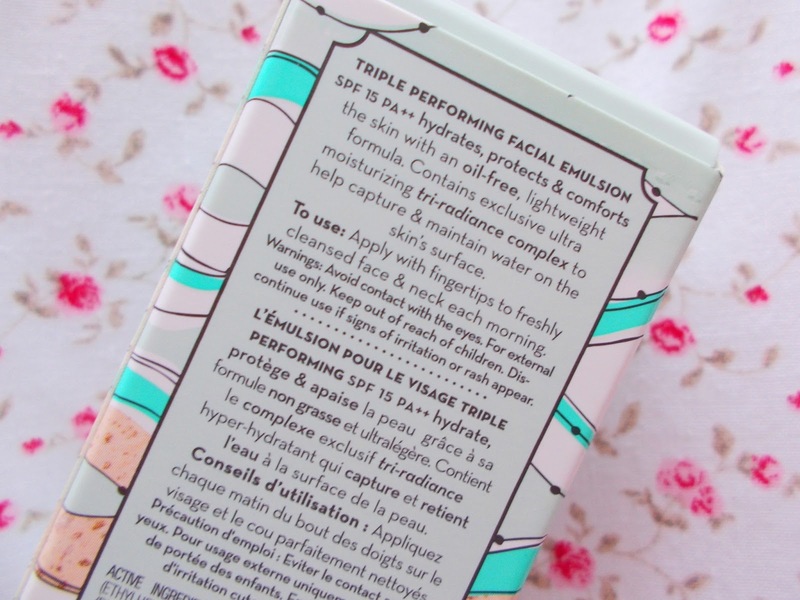 It's also fragrance-free which is always something I look for due to my sensitive skin. I'd really recommend giving it a go if you're very pale-skinned and struggle to find a foundation to match your skin tone. Estée Lauder have claimed to be bringing back their Double Wear foundation in Shell over the next few months - fingers crossed this is true! However, until this is (hopefully) back on our shelves, I will continue to repurchase Max Factor Lasting Performance Foundation. As you can tell, I'm slowly working my way through my products I've been storing away since Christmas! This cute little trio of lips balms/tints* were sent to me by one of my very lovely penpals, Kelsey. 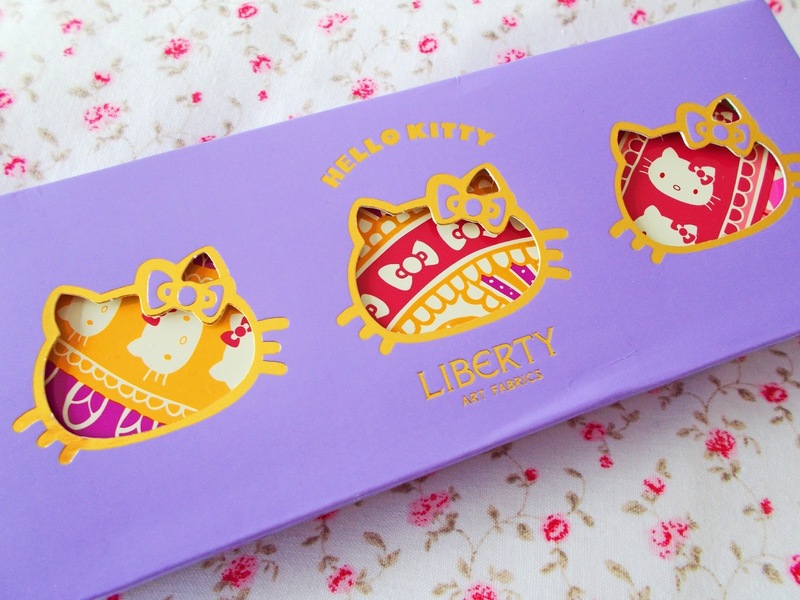 I love anything Hello Kitty and what's more, it's been teamed with Liberty too (hello gorgeous packaging!!). 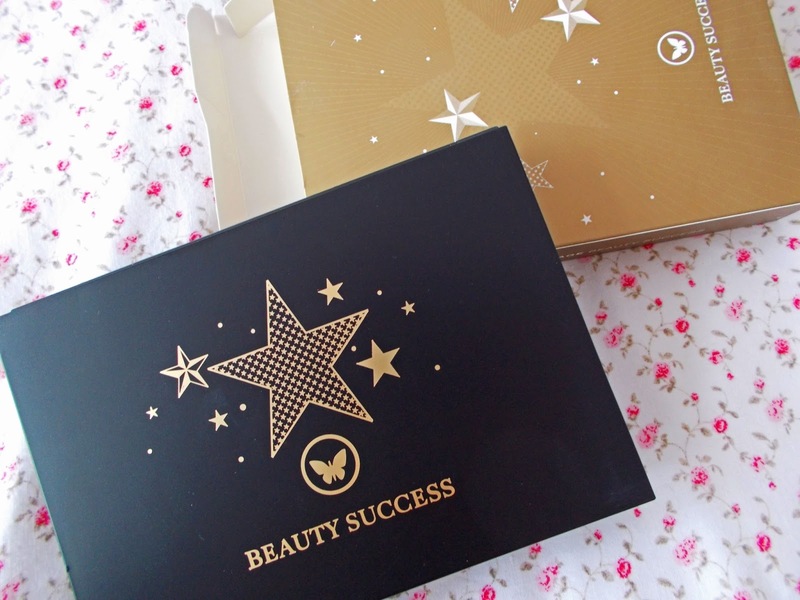 On the packaging, it states that this was a limited edition product stocked by Boots, so I've been struggling to find a link for this exact gift set! 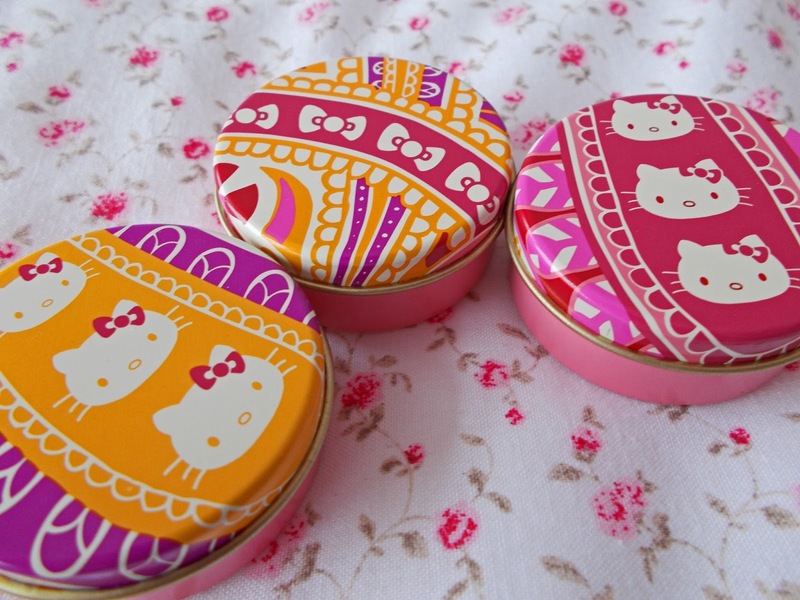 However, lots more adorable Hello Kitty cosmetics can be found over on the Superdrug website too. The trio consisted of three different shimmery lip tints in 'Pale Pink', 'Peach Sparkle' and 'Coral'. As you can see from the photos, Pale Pink & Coral are much richer in colour, with a glistening finish. 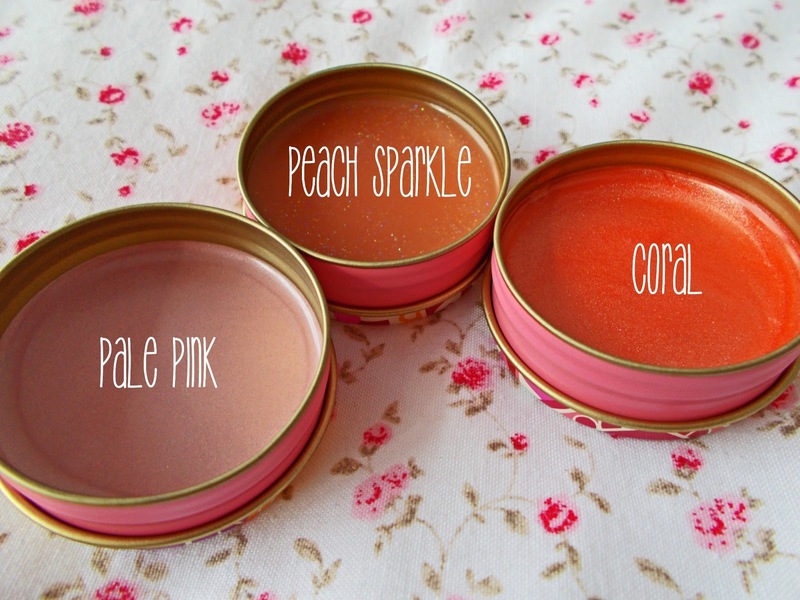 Peach Sparkle, on the other hand, is more of a transparent balm with tiny glitter pieces in it. 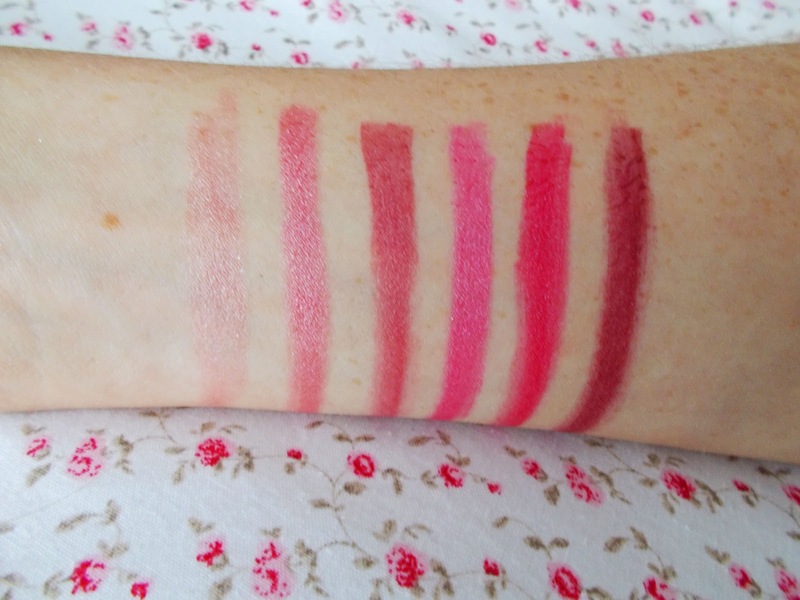 My favourite has to be the Coral shade - Pale Pink was just a little bit too pale and drying on my lips. All of the balms have a similar scent to them, I think it's a matching peach fragrance - it does smell a little bit plastic though. 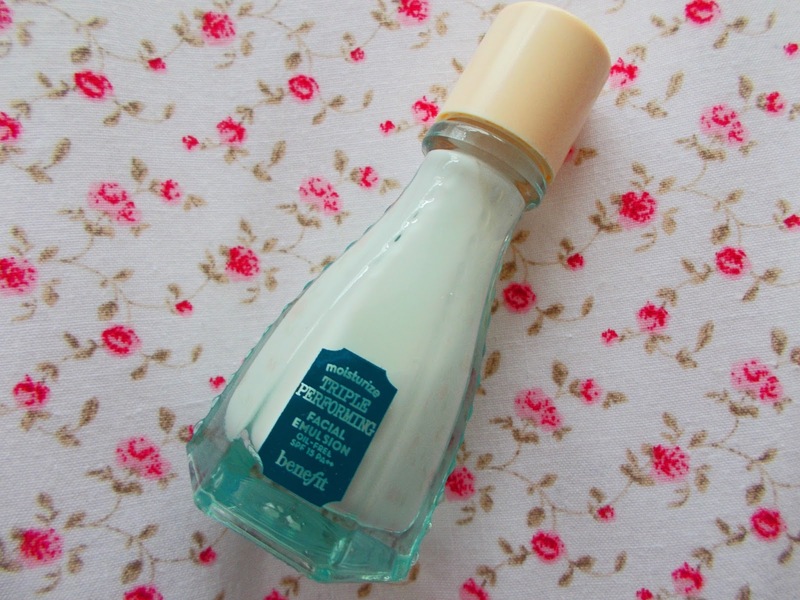 The smell reminds me of a lip balm I used to have as a child (..Barbie rings a bell!). But despite this, I will still be using them as the fruity fragrance does almost mask it. I really really love this set. I think it's the perfect present for any girl - I'm a bit of a big kid at heart as well so it's even better. And I absolutely love the design on each tin and colours used; I can't wait to pop these in my handbag! Have you tried any Hello Kitty cosmetics? Many months back when I first got into blogging, Alex's mum very kindly brought back this 'Beauty Success' makeup palette* for me after visiting France. The palette itself folds out to display a trio of eye shadows, blushers and lip glosses - complete with brushes & mirror. 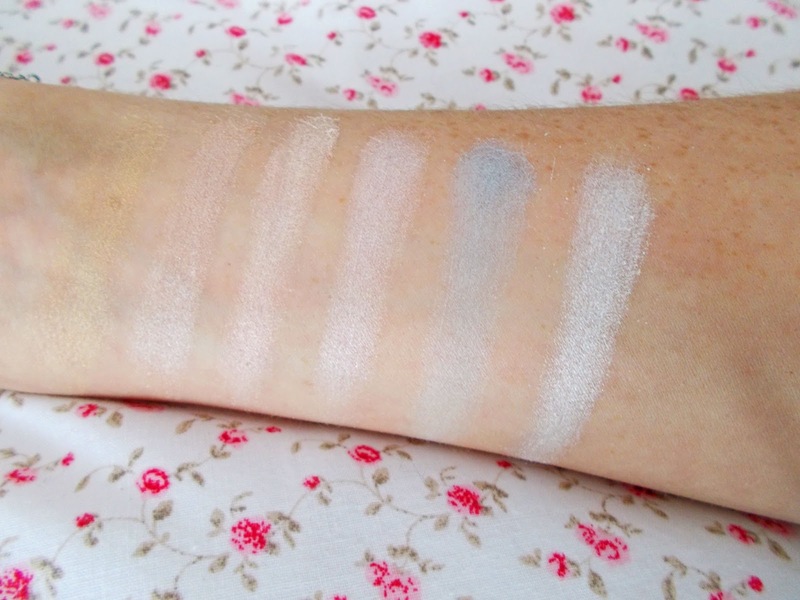 I've been trying to be more adventurous with my makeup recently, easing myself into eye shadows by applying very pale colours to start off with. I've never properly shown how gorgeous all of the colours are so I've thrown together a few swatches for you all to see. First off, the eye shadows! Each row of eye shadows in this palette is perfect for a different occasion. 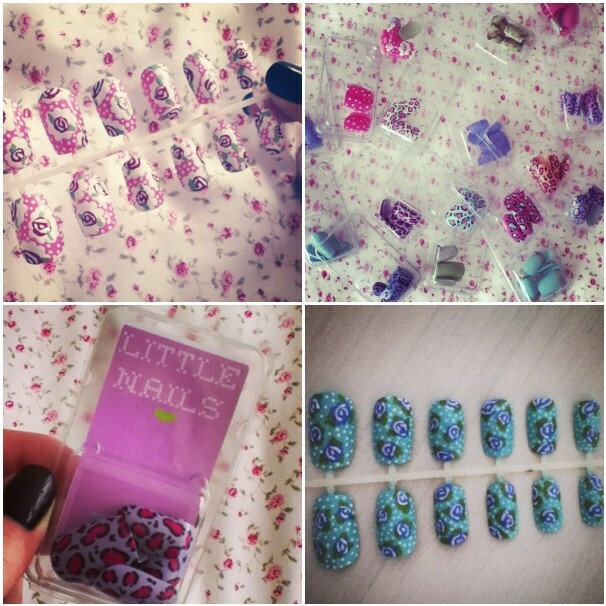 My favourite by far has to be the first row - the pastel/pearlised shades are so beautiful! As I'm very pale-skinned (despite having St. Moriz tan developing in these photos) I find it quite difficult to get a shade to suit me. If I'm going out for the evening, I tend to use the very light eye shadows to perk my eyes up a little; I apply a very small amount with my finger at the corners of my eye to act as a highlighter - these shades work perfectly for that. Row two is a little too daring for me. I think they'd be great shades if you fancied experimenting with different looks, or even for a makeup artist to try out, but for me, not really my style! 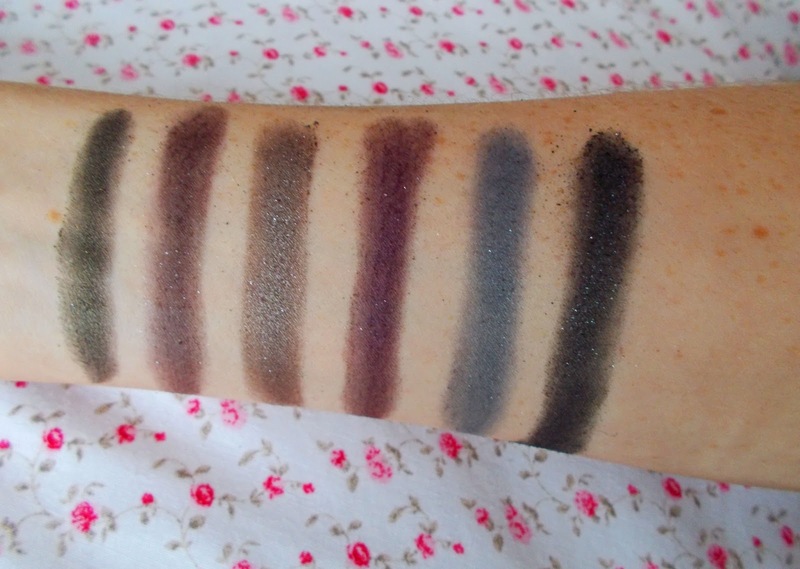 As a complete contrast to my favourites, I do also love row three, the more 'vamp' shades. These will be excellent for when I choose to give the smokey eye look a go. The darkest shade on the far right is so beautiful - the camera just doesn't do it justice, it actually has a mix of silver with it in the palette! My only flaw with the eye shadows is that I found them a little bit powdery; when rubbing on each palette to get the right amount of colour on the makeup tool, the powder had a tendency to break away. It has a great holding power once applied to your skin, you just need to be slightly careful not to get the powder on your clothes/floor when dabbing away! Next up, the lip glosses. Lippy-wise, I usually prefer to have a thick lipstick to apply rather than dabbing at a palette. However, the colours in this palette are way too nice to waste. 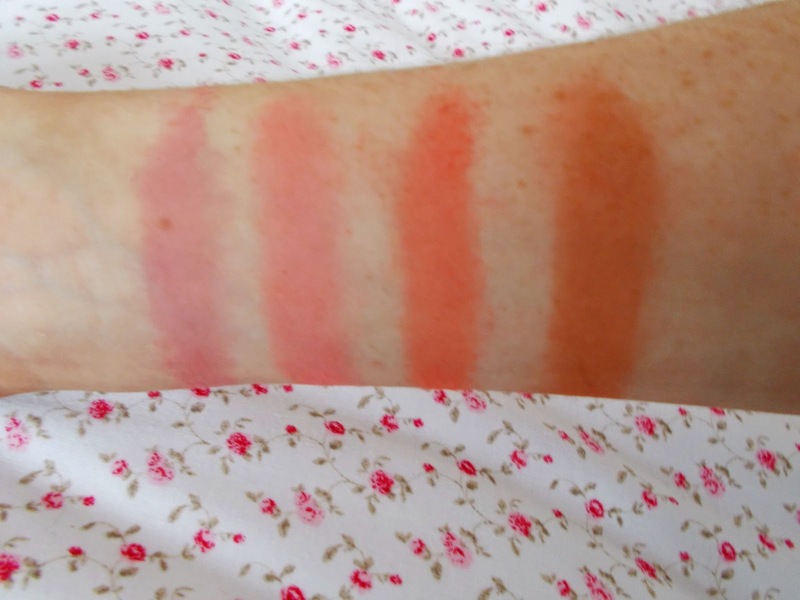 I think the first row is perfect for my pale skin - I personally love wearing very pink or natural shades. The consistency is just right too, not leaving my lips dry after application. I think row two is excellent for more tanned skin - my favourite shade has to be the third from the right on both rows, the textures are very creamy too! I love, love, love trying out new blushers. At the moment, I absolutely swear by Bobbi Brown 'Light Pink', but I've also been on the lookout for a more orangey-toned blush to wear regularly - this palette offers just that! The pink blushers in this palette are a lot paler than my current one, possibly better for a more natural looking rosy-cheek. 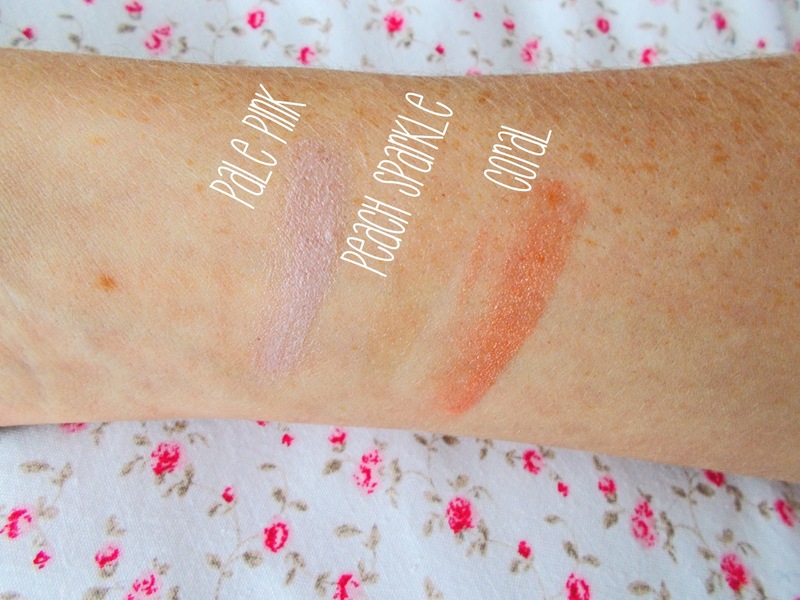 The only blusher that I wouldn't use on my own skin would be the far right one - it's far too sandy-toned for me & wouldn't do my skin any favours unfortunately! 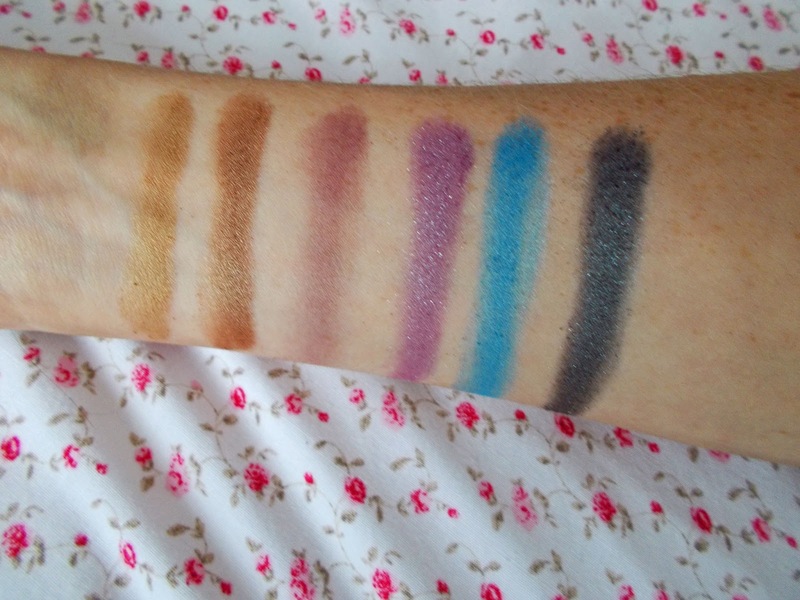 Again with the colours I've swatched, my only flaw would be how easily they crumble away (as I commented on with the eye shadows). 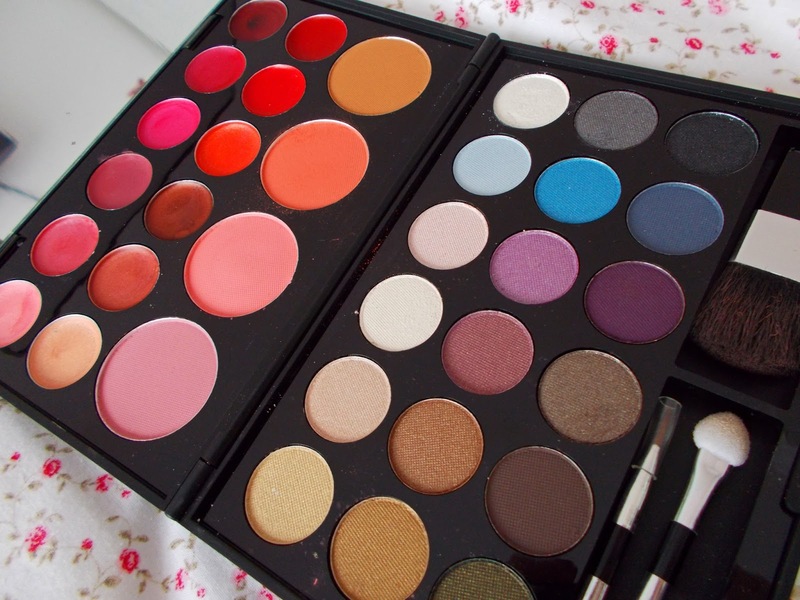 Aside from that, I am a pretty big fan of this palette & would certainly love to try more of the Beauty Success range. 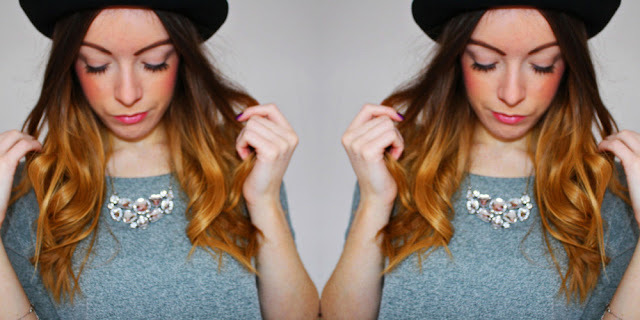 Introducing you to my new favourite necklace, another eBay bargain! I'd been on the lookout for a cheap statement necklace ever since I missed out on buying 'that' H&M neon one a few months back. This necklace may not be neon, but I'm in love with it - especially the heart-shaped jewels! I found this little number for £1.99 through a private seller on eBay. I'm back with another outfit post and a very un-inventive title! My outfit photos I took this morning didn't turn out quite how I'd expected.. in other words, I was a giant blur in all of them. But I'm working on it! Today I'm sporting a pretty basic outfit, normally the sort of thing I wear on a day-to-day basis. I bought these leggings after seeing them in an outfit post on Kate's blog - she literally has the best wardrobe and she always finds such amazing eBay bargains. 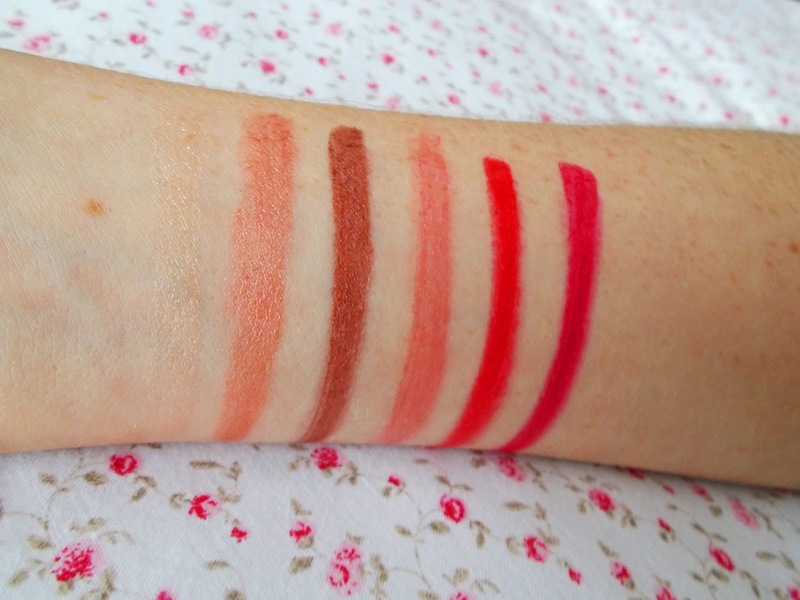 As she mentioned in her post, they're AA dupes - and only £4.50! Albeit, you do have to wait quite a while for shipping from China, but they're well worth it. These are going to be my new comfy go-to leggings; they're such a flattering fit and I love the shine they have to them. I love finding eBay clothing that doesn't cause a dent to my purse! Last month, I won a giveaway hosted by the lovely Olivia-Zara and I received my first ever products from the Victoria's Secret beauty range. I received a fragrance mist along with an ultra-moisturising hand and body cream - both in the scent 'Secret Crush'. This scent is no longer available from their website, however, I have linked similar products in different fragrances. 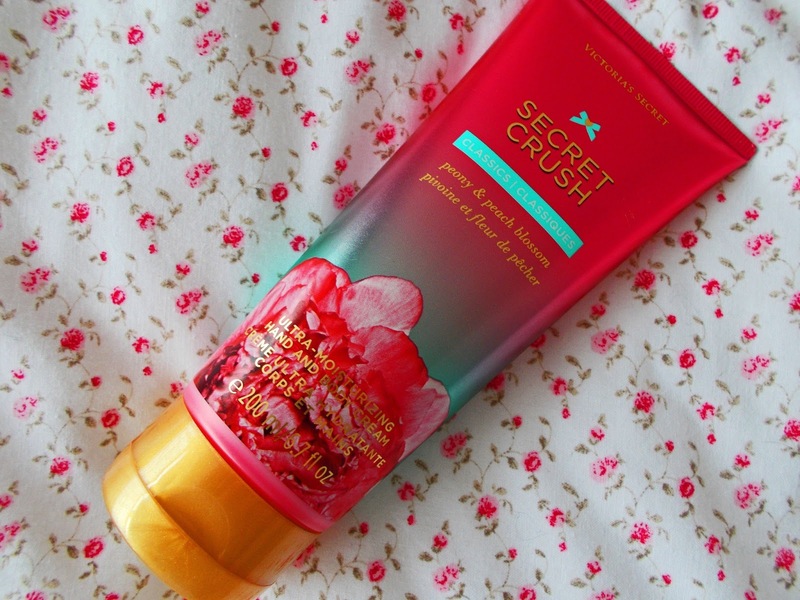 'Secret Crush' is a scent made up from Peony & Peach Blossom notes - a very rich fruity fragrance, perfect for summer! The fragrance mist and body cream retail at around $12 (approximately £7.94), which I think is a pretty affordable price given the amount of product in each bottle (200/250ml). The two products go excellently hand-in-hand. Given that the body cream is perfumed, it would simply be far too overpowering to wear your everyday perfume on top of it. The fragrance mist allows for a 'diluted fragrance' if you feel a little naked without a spritz of your everyday perfume. I'm not too sure if I could use the body cream on a regular basis - I applied the body cream after showering this morning and 4-5 hours on, I can still really smell the Peony/Peach Blossom scent. I think it would be perfect for a summery day or possibly on a holiday abroad if you didn't want to carry too many different bottles with you - the body cream could just be used instead of a perfume & you'll still be giving your skin the TLC it deserves - it really did help to give a lasting smoothness to my legs! Have you tried any Victoria's Secret beauty products? 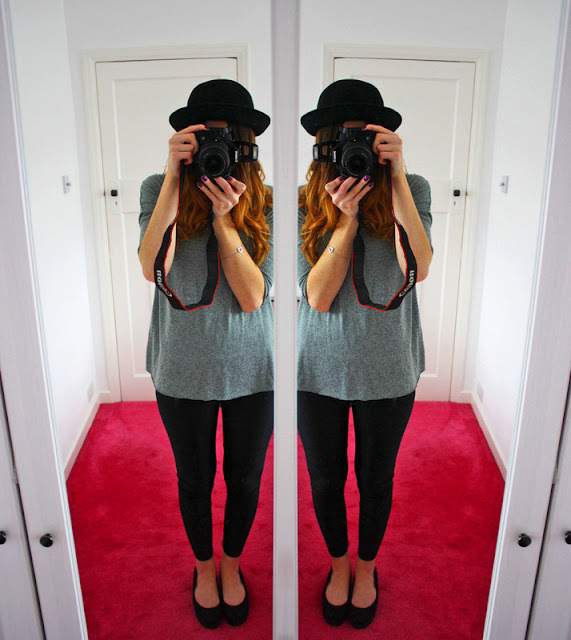 Just a little 'outfit of the day' kinda post! I bought this blouse from eBay recently and it's easily become one of my favourite items in my wardrobe. The print is so bold! When I bought this, I was a little weary that it wouldn't be very good quality, especially for just under £6 (plus free delivery!). I'm actually so impressed, it's just like a statement Zara blouse and such good quality too. I'm a leggings/jeans kind of girl and I decided I needed a new pair, so I went for these paneled wet look ones from Topshop. Super glad I bought them & they're such a versatile piece to have in your wardrobe. On a completely unrelated note, how nice is the weather today? I think Spring might finally be here! - fingers crossed I haven't spoken too soon though! You know when you read a really good book and it completely changes your perception on life? As cliché as this sounds, I've just found that again. Over the past couple of weeks (albeit, would have only been days if I hadn't been working...) I have been reading 'Looking For Alaska' by John Green. I don't like to read books in keeping with a 'trend', as I am well aware this is a very popular book at the moment - especially on Instagram! I literally bought it on a whim after I finished 'Perks of Being A Wallflower' by Stephen Chbosky - which I don't think anything can ever top for me. 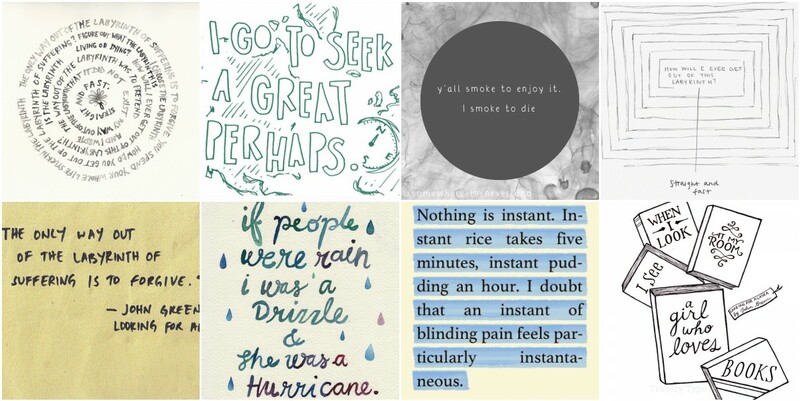 However, Looking For Alaska comes close. If you've read Perks, and you really enjoyed it, I'd definitely recommend this read by John Green. It takes quite a while to get into, but once you do, you won't want to put it down. There are sections that will make you laugh, and sections that will make you tear up.. and you will probably end up comparing 'Pudge' to 'Charlie' and 'The Colonel' to 'Patrick' from Perks too! I don't want to go into too much detail because I'd like you to see for yourselves what this book is about, but I'd definitely give it a thumbs up! Oh, and if you follow me on Twitter, it will probably make a little more sense now what some of my ramblings recently have been about - I love a good quote!